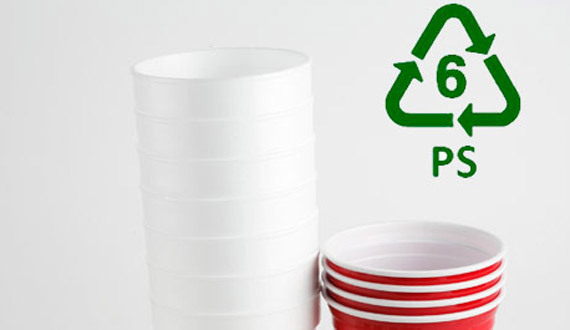 We offer the maximum guarantee regarding the origin and quality of plastic materials we distribute. PET in its natural state is a colorless, semi-crystalline resin. Based on how it is processed, PET can be semi-rigid to rigid, and it is very lightweight. It makes a good gas and fair moisture barrier, as well as a good barrier to alcohol (requires additional “barrier” treatment) and solvents. It is strong and impact-resistant. 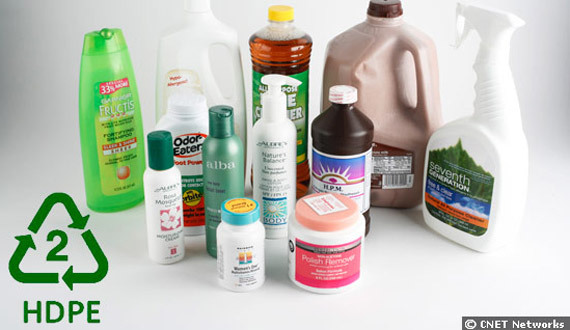 PET becomes white when exposed to chloroform and also certain other chemicals such as toluene. High-density polyethylene (HDPE) or polyethylene high-density (PEHD) is a polyethylene thermoplastic made from petroleum. 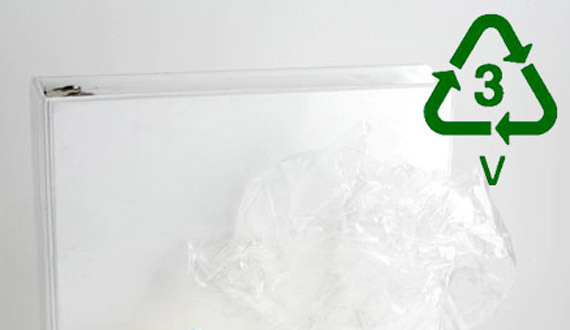 It is sometimes called “alkathene” or “polythene” when used for pipes. PVC comes in two basic forms: rigid (sometimes abbreviated as RPVC) and flexible. The rigid form of PVC is used in construction for pipe and in profile applications such as doors and windows. It is also used for bottles, other non-food packaging, and cards (such as bank or membership cards). 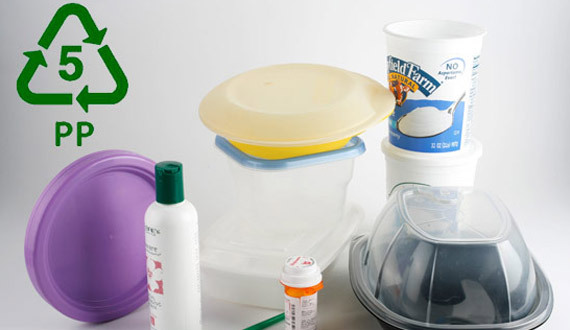 Low-density polyethylene (LDPE) is a thermoplastic made from the monomer ethylene. LDPE has more branching (on about 2% of the carbon atoms) than HDPE, so its intermolecular forces (instantaneous-dipole induced-dipole attraction) are weaker, its tensile strength is lower, and its resilience is higher. Also, because its molecules are less tightly packed and less crystalline due to the side branches, its density is lower. Polystyrene is a synthetic aromatic polymer made from the monomer styrene. Polystyrene can be solid or foamed. General-purpose polystyrene is clear, hard, and rather brittle. It is an inexpensive resin per unit weight. It is a rather poor barrier to oxygen and water vapor and has a relatively low melting point. Polystyrene is one of the most widely used plastics, the scale of its production being several billion kilograms per year. 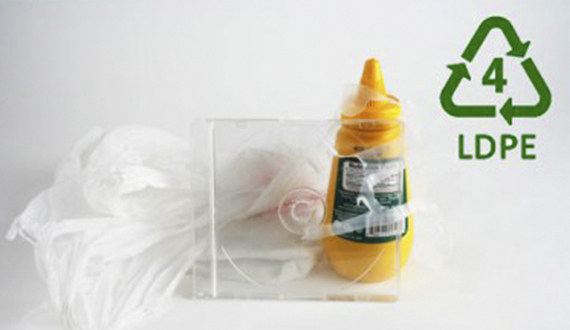 Polystyrene can be naturally transparent, but can be colored with colorants. 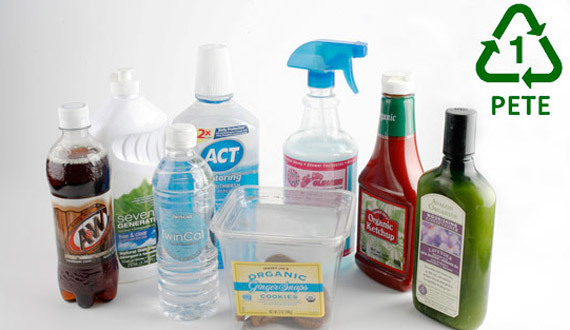 Uses include protective packaging (such as packing peanuts and CD and DVD cases), containers (such as “clamshells”), lids, bottles, trays, tumblers, and disposable cutlery.